Of course, if I have the choice, I will always pick to enjoy life's little moments with family or friends. Today, that was not an option. No one bit at my invitation and Chad is working through the weekend. So, yay for solo adventures! Nice for people watching, self-reflection and just observing in-general! I am very lucky to live very close to the zoo. 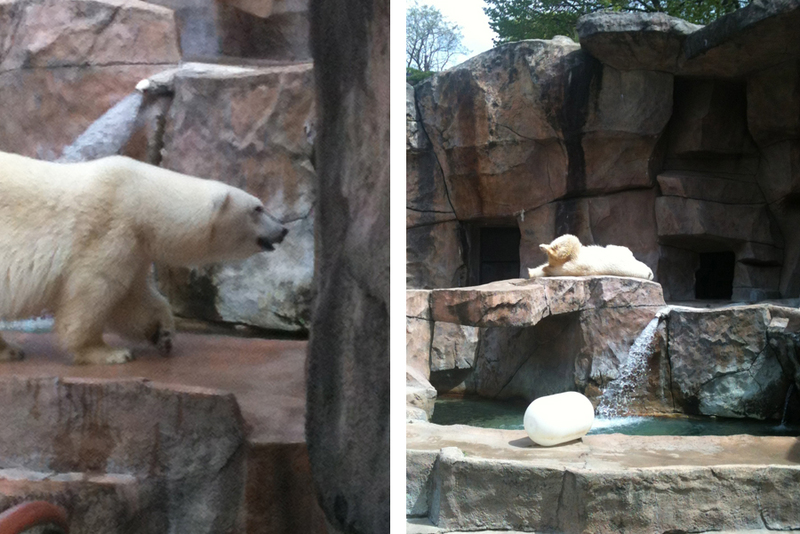 Not just any zoo, Henry Vilas Zoo: always free and open to the community. It is one of my favorite places to visit! When I lived in Orlando and worked for Walt Disney World, I would take full advantage of free admission to the parks. My favorite park to visit on my own was Animal Kingdom - it's one of the coolest zoo's around and I absolutely love the Safari. It's different every time you ride it! Now-a-days my 'playground' is Vilas zoo; a pretty amazing place where anyone can visit. There are not many other places that can boast the same experience! I headed out on this day - too beautiful to stay inside - and stopped first at a cafe kiddie-corner to the zoo entrance. The day is sunny but a bit cold so I got the largest hot loose-leaf tea they had and headed for my stroll. I love that I don't have to worry about parking! 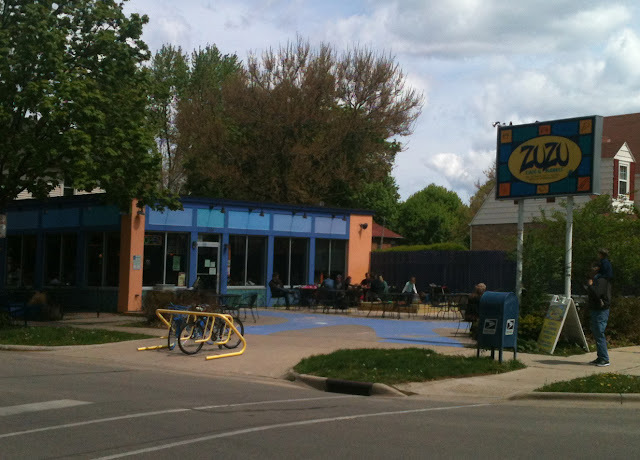 It's nice that they have this little cafe so close to the zoo! 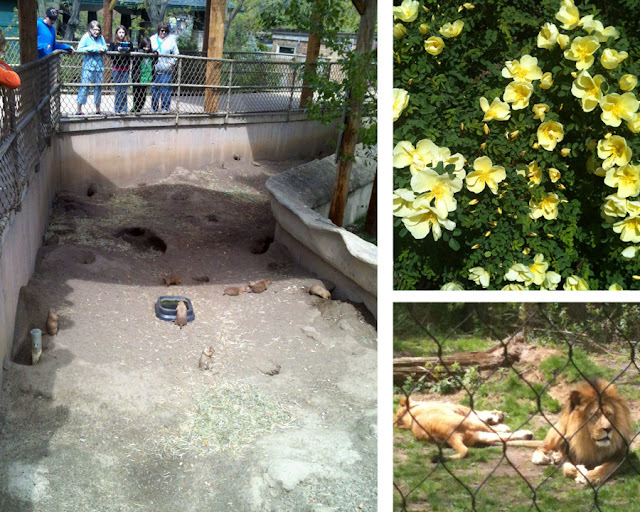 The zoo was hopping with families and lots of little kids. It's so funny to hear the words that come out of kids mouths. They get so excited! The animals seemed to be enjoying the outdoors. It is always a bit sad to see them caged up in such a small area, but I'm so grateful for the chance to be able so see them as close as you can. It's incredible the number of animals and the quality that comes from a zoo that's free. Every time I come, I throw in a few dollars if I have them since I know that nothing comes for free. 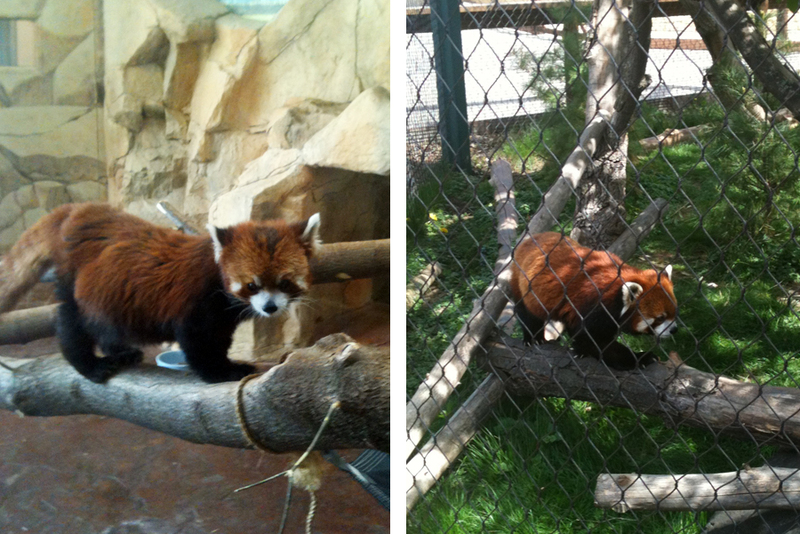 There are 2 red panda's because they are trying to mate this endangered species. It's amazing that we have them here in Madison. 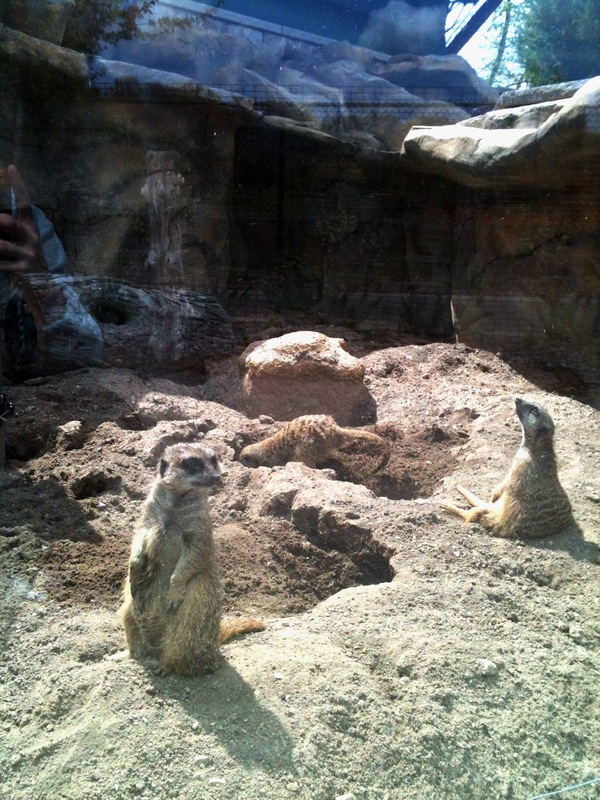 I love the Meerkats! They were so funny and rambunctious! Check out the one digging - and the one just sitting sun-bathing - HA! Veggies for breakfast, oh my! Tidbit Tuesday :: Garage Sale Season!